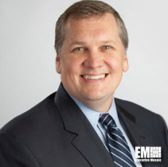 Peder Jungck, vice president of intelligence solutions at BAE Systems‘ U.S. arm, has been named to the steering committee of the U.K.-based defense contractor’s lobbying group that aims to facilitate collaboration among companies to address cyber threats, Sky News reported Wednesday. BAE launched the Intelligence Network in July in response to rising incidents of cyber attacks against U.K. businesses, according to the report. Jungck will work with nine other members of the committee to create a cybersecurity-focused research agenda and help the academic community receive research funding. Jungck’s latest appointment came more than a year after he was named president of the Information Technology – Information Sharing and Analysis Center, a nonprofit organization that seeks to advance collaboration and promote cyber threat data sharing in the technology sector.